TGIF !!!!! 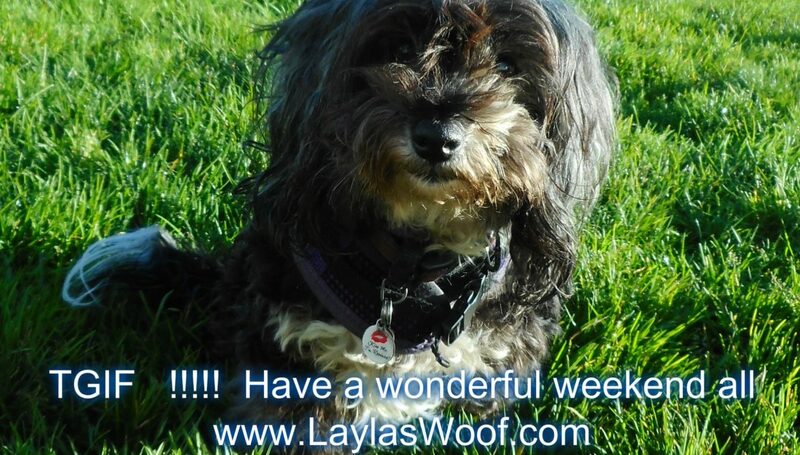 Woof Happy Friday all my fur friends and I hope you are all looking forward to the weekend the way we are. 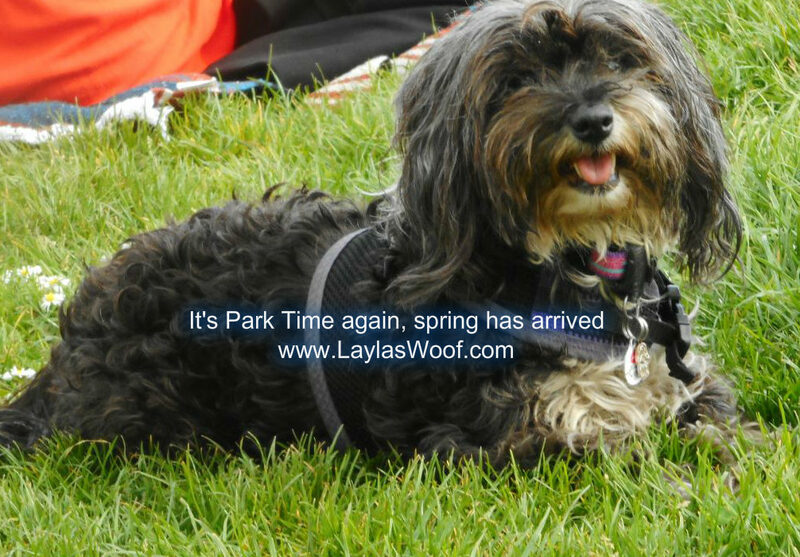 We have had a busy week but also celebrating that the sun is shining and with the Daylight Savings we are now able to get to the park when I finish work. WOW what a concept, to feel the warm sun on your face after all the cold rainy weather. Not sure how long it will last but we are enjoying it immensely. On Tuesday I took Layla for her annual check up. Growing old means being more careful, keeping double eyes on all and in a nutshell making sure she is getting all the correct nutrients in her food which I as a Jewish Mother is always worried about. They had done blood work on her a month ago as she had lost 1.5 lbs and I was really concerned BUT the happy news is she is back to her normal 15 lbs and nothing to worry about, she got a clean bill of health. I am so relieved over this as I know now I must be doing something right. I spoke to the vet about her not wanting to go out after 7 in the evening and the vet told me not to worry, because of her one eye going blind she might be afraid of the dark so just to let her do what she wants and if she needs to go out she will tell me, which is what she normally does. 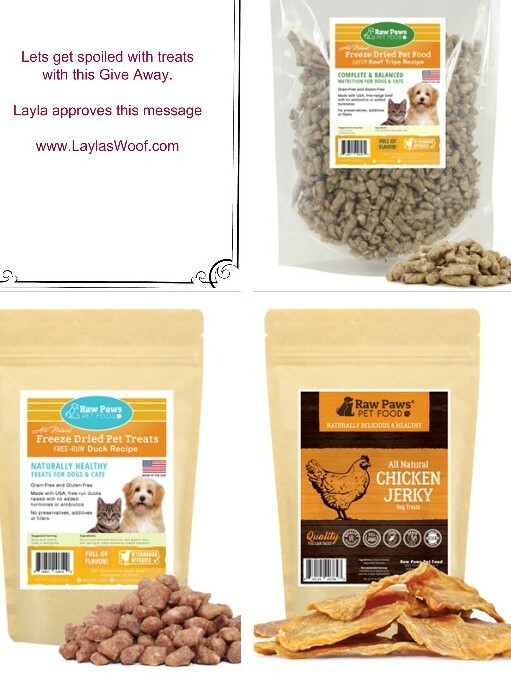 Now as you all know I cook for Layla, and one of my biggest worries is that her food is not properly balanced so I am always doing research, checking and have come across the most amazing supplements which even my vet said she can see the difference in her since I have been giving them. Plus they are made in the USA which is the most important of all. 01. Raw Paws Hip and Joint Support for Dogs and Cats : Organic hip and joint supplement is beneficial for all pet life stages from puppies and kittens up to seniors! This joint supplement is a healthy blend of green lipped mussel powder, ginger, turmeric curcumin, pumpkin and ceylon cinnamon. Giving this daily supplement offers natural arthritis relief without the nasty side effects from pet arthritis medicine! 02. Raw Paws Mineral Rich Organic Sea Kelp Daily Supplement for Dogs and Cats : This excellent natural source of iodine supports glandular functioning such as thyroid health and metabolism. With an improved metabolism, the overall health of your pets will improve by an increase in energy and decrease in inflammation and infection. Sea Kelp promotes oral health by reducing buildup of plaque and tartar for healthy teeth. Being the #1 source of natural trace minerals, sea kelp helps to strengthen the immune system, promotes a healthy skin and coat, reduces itching and fortifies the blood for an overall healthy, vibrant life! Sea Kelp also has 60 different vitamins, minerals, and trace elements as well as 21 amino acids. Made with zero artificial ingredients. 01. Chicken Jerky for dogs only 02. Freeze Dried Green Tripe which is for both Dogs and Cats 03. Freeze Dried Duck which is for both Dogs and Cats . Layla is at this moment in Treat Heaven, every time she hears a bag she thinks its treats. A Give Away (see the Rafflecopter Widget below) of a basket with Chicken Breast Jerky (8 oz), Freeze Dried Duck Treats (4 oz), and Freeze Dried Beef Green Tripe Treats (4oz). 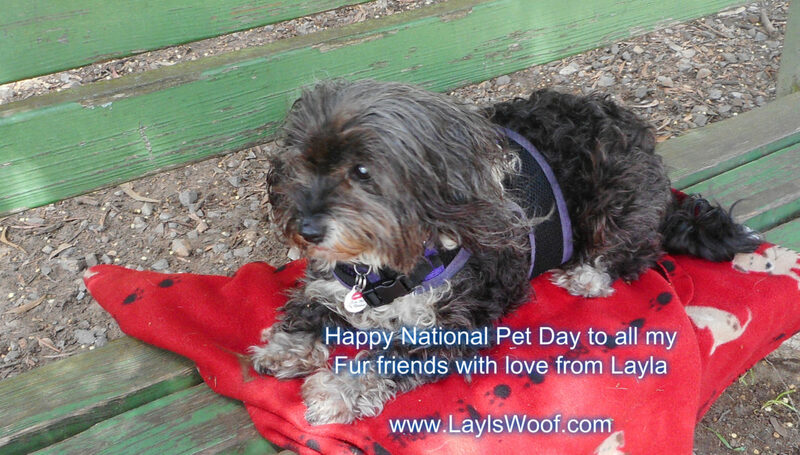 All you have to do is go their website and type in : LAYLA15 and get 15% off your order.There is no expiration date on this coupon but it is a one time use only. 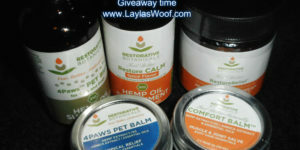 Raw Paws Pet Food has sponsored me for this review plus give away which is only open for the USA. 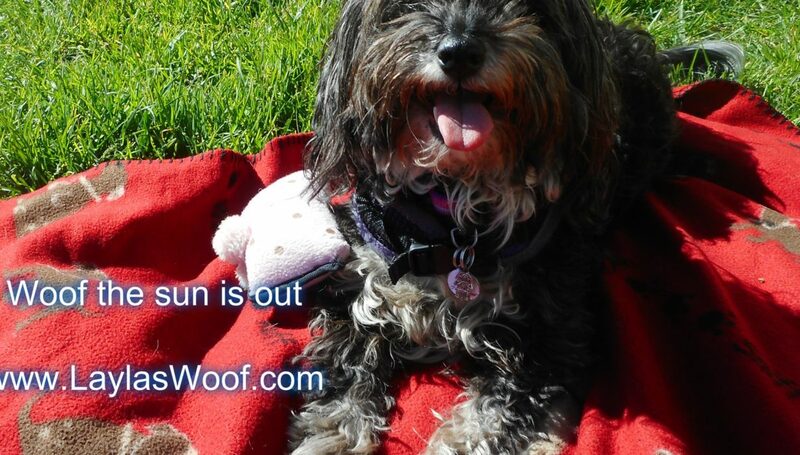 Woof to all our fur friends that are entering, as you can see I love sharing with my cat friends also, so good luck. I am off now to beg for some more treats from Mom. March has arrived and the rains are still here. When will they stop. The good news is that California is out of drought the last I read but the grounds are so soaked that they are not absorbing the rains anymore. One muddy mess in the dog park LOL which Madam does not like. 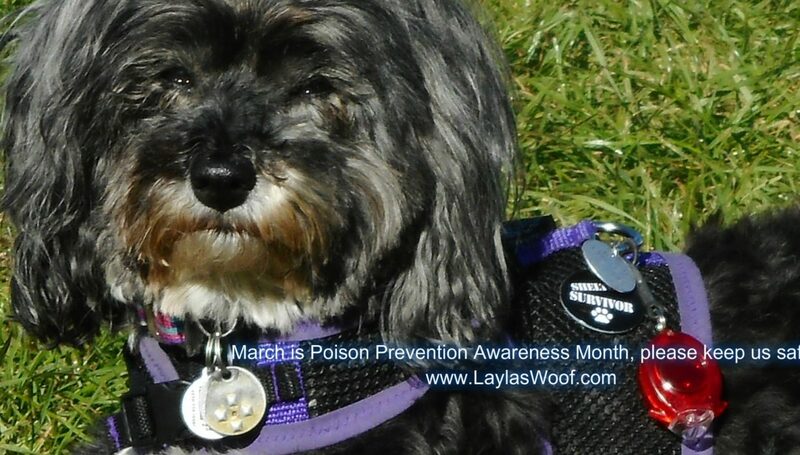 March is also an important month as it is Poison Prevention Awareness Month. Please keep us safe ! This is so important and it reminds us how important it is to keep our pets safe from anything toxic which leads to illness and sometimes death. 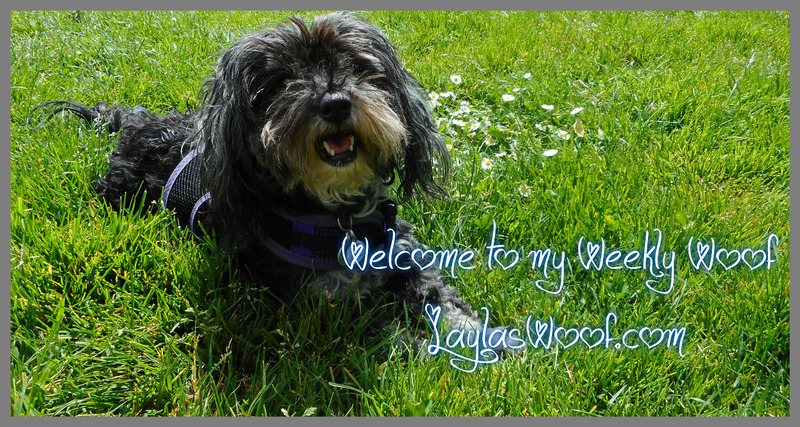 So Layla decided that this week our blog is going to focus on this subject to make sure that all our fur friends are safe both in the house and outside. The way we child proof a house and garden, we should pet proof the same way. 01. 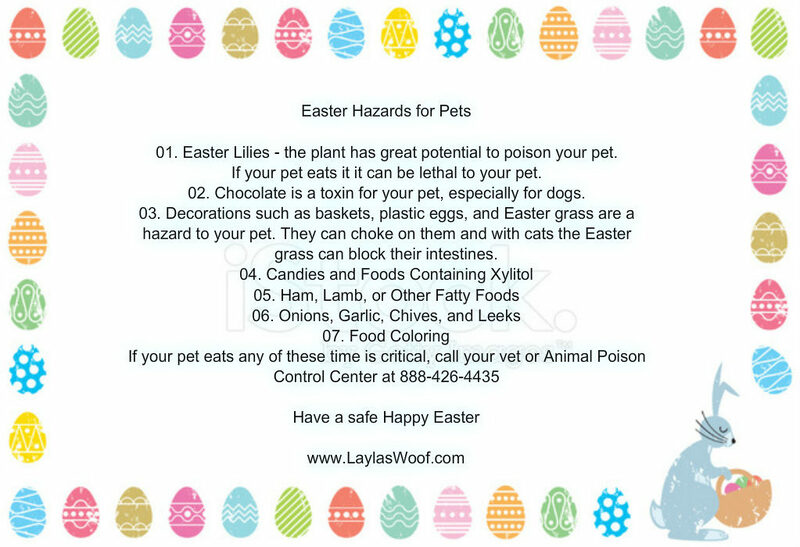 Plants can be poisonous especially azalea, oleander, castor bean, sago palm, Easter lily or yew plant material eaten by an animal can be fatal. 02.. Cleaning products – those are dangerous and should not be lying around in the house. Please store them in a place that your pets have no access to. I personally only use Apple Cider Vinegar in the house for cleaning, etc as that way I know if Layla walks on the wet floor she is safe. 03. 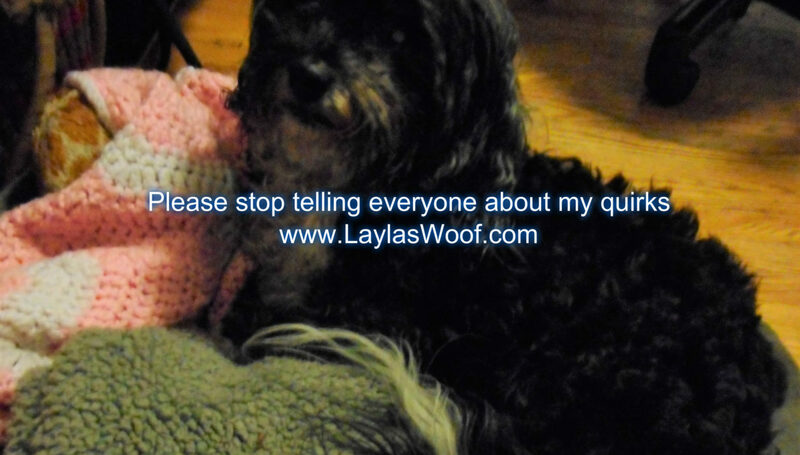 Medications – never give your pets medications unless directed by a Vet. Keep all medications locked away so they cannot find them. 04. Chocolate is a BIG NO. 05. Household products like coffee grinds, play dough, fabric softener sheets and more are all toxic to your pets. 06. Automotive products – please do not leave them lying around the garage and if something spills make sure to clean up. 07. Flea Meds – all pets have different reactions to these so please check with your vet before you administer them to your pets. 08. Always read all instructions / cautions of any product before using it in your house, garden or on your pet. 09. Keep your pets inside or away from any insecticides Also keep your pets away from fertilizers on the grass or in the garden. All of them can be toxic. 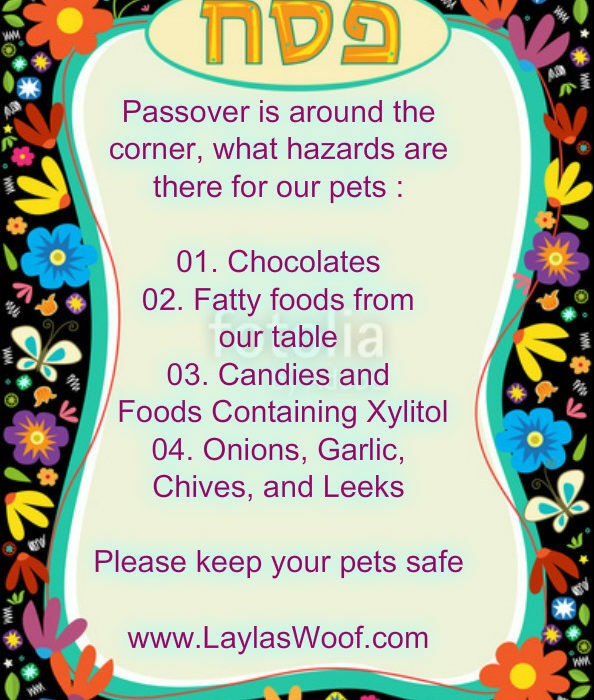 Plus make sure you store these products in a place that is inaccessible to your pets. 10. 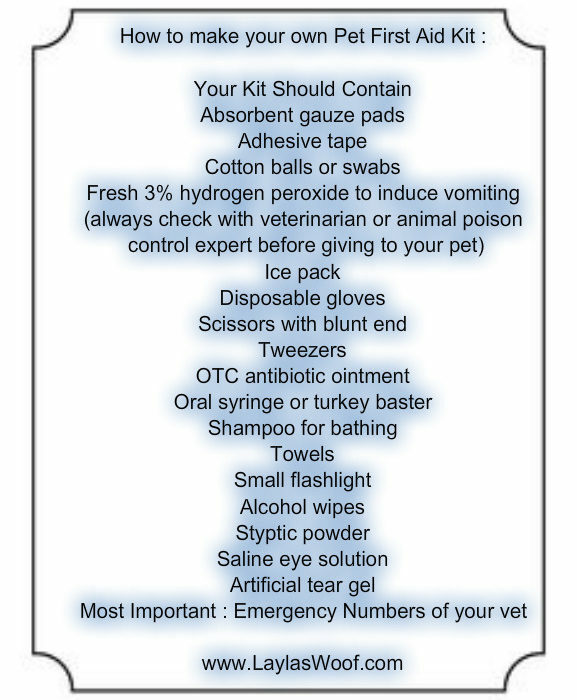 Do not use products for dogs on cats and vice versa unless it says you can. 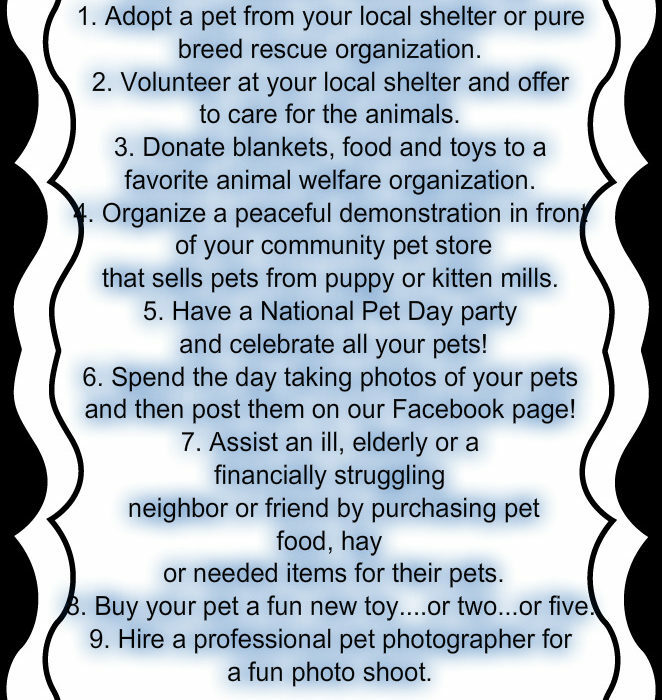 I am aware we do these reminders all the time but I feel by reading the above, remembering we are keeping our pets safe, no extra vet bills or expenses and most of all we have a happy healthy home. February is over WOW. We cannot believe how fast this year is going. Layla and I have cabin fever. It just does not seem to stop raining here and although she has been very good with walks in the rain, some long, some short we both need some sunny park time to be outdoors relaxing. Yesterday she was not happy as she got a bath. 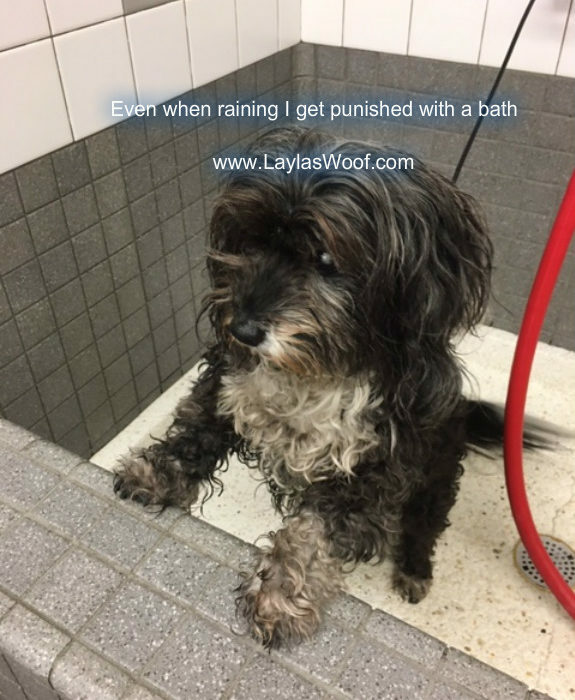 I am fortunate to be able to get her a free bath once a month through PAWS/Shanti Project which makes life very easy for me as living in a studio when I bathe her the floor becomes a lake LOL, so I take advantage of these free baths. It is also amazing how they always have volunteers from different companies come in to do the bathing so all I have to do is take her there and they do all the work. It is also thanks to Pet Food Express for allowing us to do it there, they are an amazing Pet Food Store and give so much back to the community. If I buy something and Layla does not like it, I can return the open bag and get credit, they have rescued cats up for adoption there, and many rescue organizations do adoption events at their different stores. Layla of course now loves going there with no arguments like in the past as she knows she gets treats from the employees and what could be better than that. The past 48 hours have been crazy stormy so yesterday when I was at the store I picked up for her a new chewy which is a turkey tendon and she is in love with them. It keeps her busy during the day and not sleeping that much LOL. Cabin fever can be costly also. I am working in my new job which is hard but I am enjoying also so am out of the house for about 5 hours each day, I hate leaving Madam but on the other hand it is good for both of us. So that is what is happening in the Layla Neighborhood, not much excitement but she is being spoiled with lots of Mommy time as I excluding work have no interest in running around in the rain so condense everything into an outing when I leave for work. TGIF !!! The week is over ! Happy Friday !!!!!!!! TGIF !!!!!! 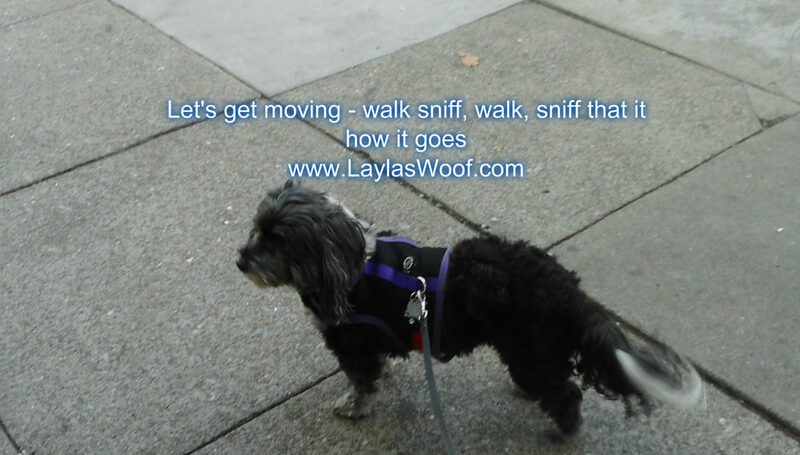 What a week, I fell ill last weekend, was flat on my back not moving but to walk Layla and am not sure what bug got me but it did. I was achy, with fever and had no appetite but that did not stop Ms. Piggy from eating and not only that I double fed her on Friday and she happily ate it all. Bless her is all I can say. I was very blessed to have some friends pop over with food for me and groceries so did not have to worry about anything. I have been really taking it easy this week, working but otherwise lying low and the rain is not helping either. It is as if someone is standing with a bucket pouring water over us non stop and I wish it would stop. It is just ridiculous and some of the streets are like rivers. I must admit Layla has been really good with the weather and I cannot complain especially as she hates the rain. For Valentines Day I made Layla one of her favorite dinners so she was happy, I cooked myself a nice dinner too and my Boss surprised me with Sees Truffles so I feel very spoiled. 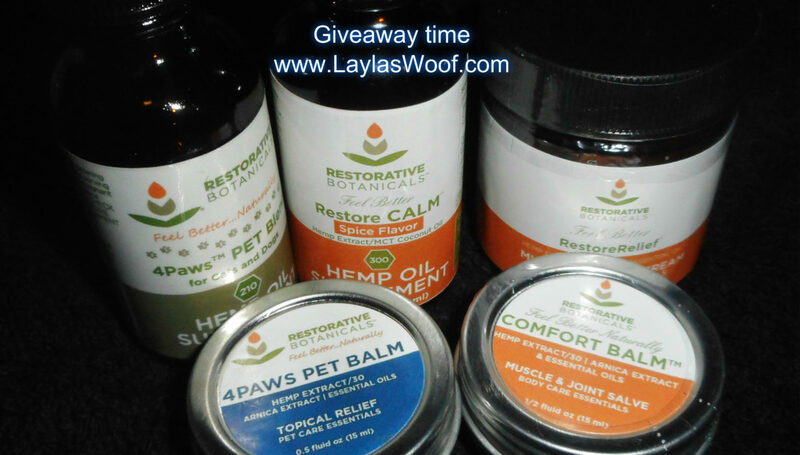 You still have time to enter our give away for $ 125.00 dollars worth of products for you and your pets – see below widget and good luck. So on this note from rainy San Francisco stay warm and dry all, look after yourselves and chat with you again next week.